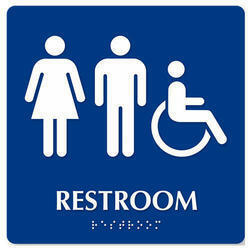 Owing to our affluent industry acquaintance, we presentRefreshable Braille Display. In addition, experts check these products on diverse industry parameters to ensure the sturdy nature. 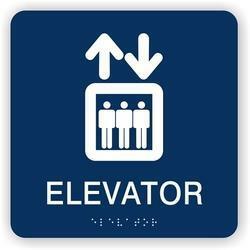 We are capable to offer Braille Signs to all commercial patrons. These signs are fade resistant and easy to fix over the wall. Light in weight, these signs are reliable in nature and crack resistant. Made with the use of durable material and highly advanced technology, this sign is praised by patrons. We charge less price for signs. Dimension: 5*5, 6*6, 12*5, 15*5, 12*8 any.